Rocket League is one of those games I was very late to the party on. In fact, I don’t think I even saw someone else play it until around a year ago, when two couch occupiers at a party were so involved with the game that they could barely acknowledge the world around them. Needless to say, this game about cars playing soccer intrigued me. However, as a devout Nintendo supporter, I could only sit and wait for a port on the Wii U. And with the Wii U currently, y’know, dead, I had to wait for the game to be released on the next generation of consoles. And, now that I’ve been lucky enough to experience the game on Switch, what did I think of it? Well, it’s pretty amazing. And I’m also terrible at it. 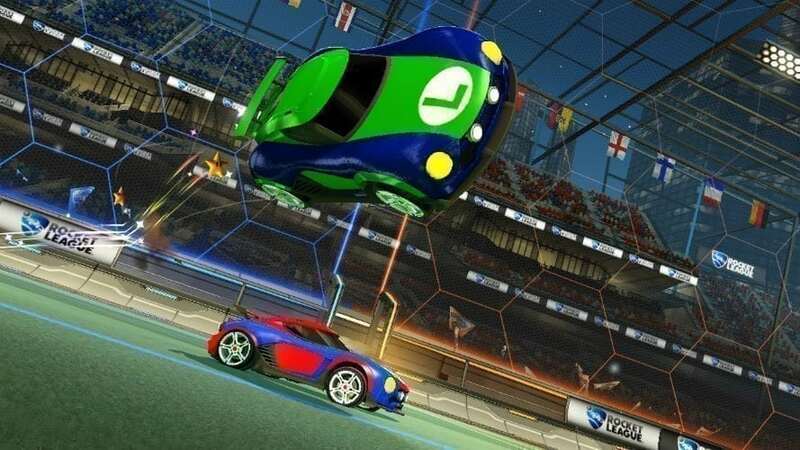 You see, at first glance, Rocket League seems like a pretty simple game as it’s literally soccer with cars. Well, as it turns out, it’s a little bit more nuanced than that, as mastering the controls and flow of the game is much tougher than you’d expect from a game that’s y’know, soccer with cars. Additionally, apparently there’s an entire competitive scene that not only exists online but has destroyed me in almost every online game I’ve played so far. And, with cross-platform play available, I can play against people that have had years of practice playing on Xbox. Hooray! Despite my lack of Rocket League talent, one of my favorite parts of the Switch version is the additional Nintendo content. The Mario and Luigi cars add a little extra charm to the game in much the same way as the alternate costumes in the Bayonetta and Bayonetta 2 Nintendo ports. While I may be unqualified to play the game online, I can honestly say that Rocket League is ideal for the Nintendo Switch. It’s got the quirkiness of an original Nintendo game, is ideal to bring on the go, and handles well even without a Pro Controller. Will I continue to get beaten online by teenagers across the world? Yes. Will I keep trying? Yes.